We ensure that British Values are introduced, discussed and lived out through the ethos and work of our school. All curriculum areas provide a vehicle for furthering understanding of these concepts and, in particular, our RE, SMSC, and focus on our Core Value lessons provide excellent opportunities to deepen and develop understanding. 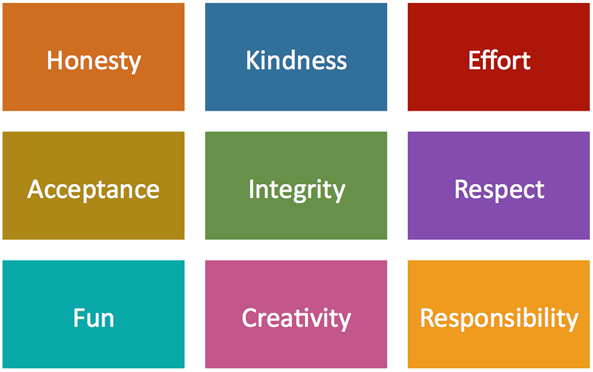 We further promote these values across our broad, balanced and developing curriculum, through our own whole-school Core Values. DEMOCRACY The children at Blenheim see democracy celebrated and practised in a variety of ways. We have an elected school council which represents pupil voice in the school. The school has a long tradition of a house system named after famous castles in England. As part of this system we also have House Captains and Deputy House Captains who act as representatives for their House in a range of contexts. Children regularly get opportunities to express their views in school through Pupil Voice sampling and questionnaires. THE RULE OF LAW The importance of laws, whether they are those that govern the class, the school or the country, is consistently reinforced at Blenheim Primary School. Our children are taught from an early age the rules of the school through our Core Values and high expectations. Children are taught the value and reasons behind rules and laws, that they govern and protect us, the responsibilities that this involves, and the consequences when laws are broken. Through our whole school approach, we seek to enable children to develop the language and strategies to solve conflict and to right wrongs. INDIVIDUAL LIBERTY Discussions at the start of the year around setting class rules provide a vehicle for exploring the need to balance the rights of the individual against the rights of the group. At Blenheim, children are actively encouraged to make choices, knowing that they are in a safe and supportive environment. As a school, we educate and provide boundaries for our young children to make informed choices. Our whole school approach to the development of a Growth Mindset supports the principle of taking ownership and responsibility for yourself with a huge focus on working hard. MUTUAL RESPECT At Blenheim Primary School , we value the close, positive relationships between all adults and children, and see this as being key to enabling all children to access their learning. As one of our Core Values, assemblies regularly cover the theme of ‘respect’, and pupils have the opportunity to discuss this further in circle time sessions. Children learn that their behaviours have an effect on their own rights and those of others. All members of our school community are actively encouraged to treat each other with respect.